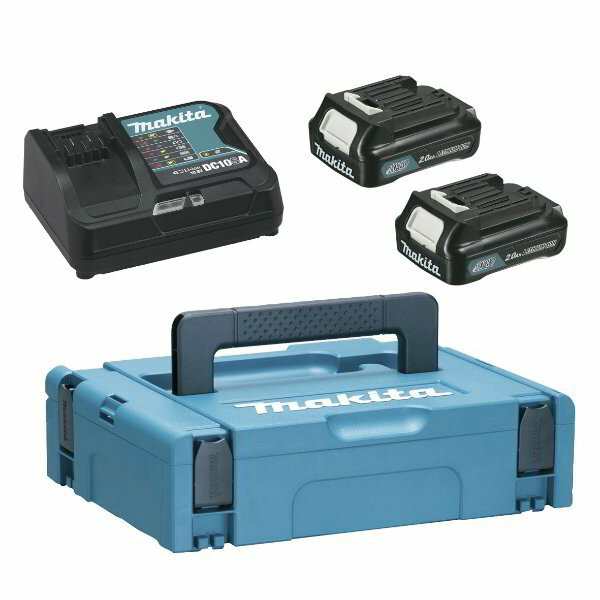 The Makita MKP1SA122 12V CXT Power Source Kit includes 2 pcs 12V 2.0Ah Li-ion batteries, a DC10SB fast charger, and a Makpac connector case. The DC10SB fast charger is specially engineered for faster charging. It comes with an ultra-compact size and is compatible with 12V max CXT™ Lithium-Ion slide-style batteries.